With today’s high school students graduating into a world shaped by the Fourth Industrial Revolution — a post-digital age that is blurring the boundaries of traditional technologies, producing information far faster than it can be consumed, and disrupting every industry in every country around the world — what must schools do to ensure that they are well prepared not just for college, but for jobs they will compete for that don’t yet exist? 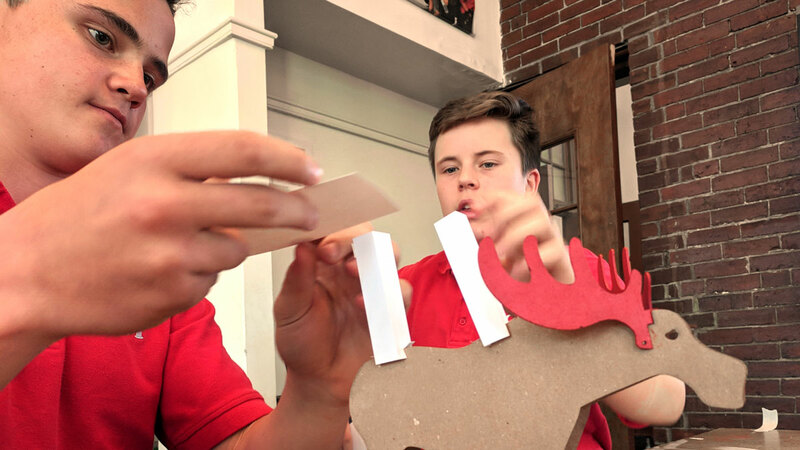 At Catholic Memorial School, a Boston-based Catholic school for boys in grades 7-12, this question has been the source of a curricular and cultural revolution that involves building new skills-development and ways of thinking into their academics. But changing the way your school approaches teaching and learning is no easy feat. It requires vision, committed leadership, buy-in from teachers and families, and a partner who can provide guidance and expertise as you develop a strategy to execute the plan. 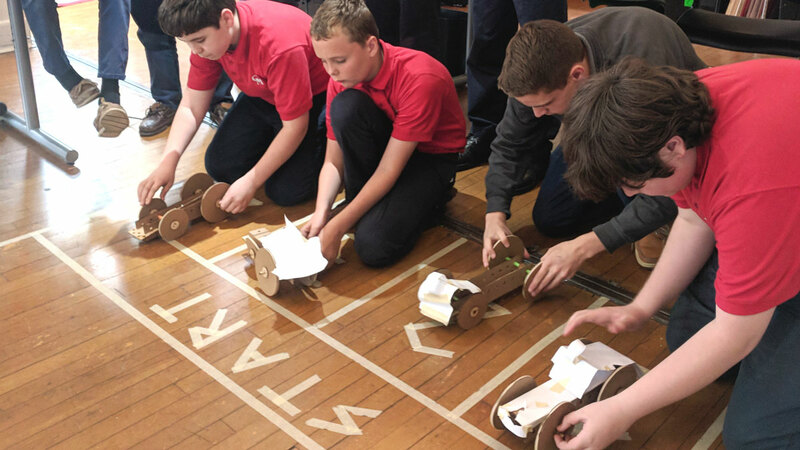 For Catholic Memorial and Head of School Peter Folan, EXPLO was a like-minded match whose vision for restoring curiosity and exploration to education could help put CM’s plans into action. In 2017, after extensive planning and design, EXPLO and CM introduced a project-based learning curriculum to the school. 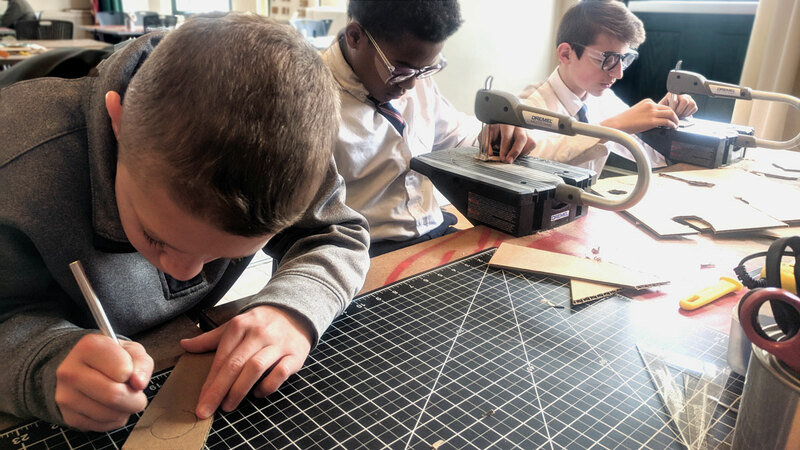 Every seventh grade student was enrolled in Foundations of Critical Making, a course that begs them to get involved, get their hands dirty, and take ownership of their learning. 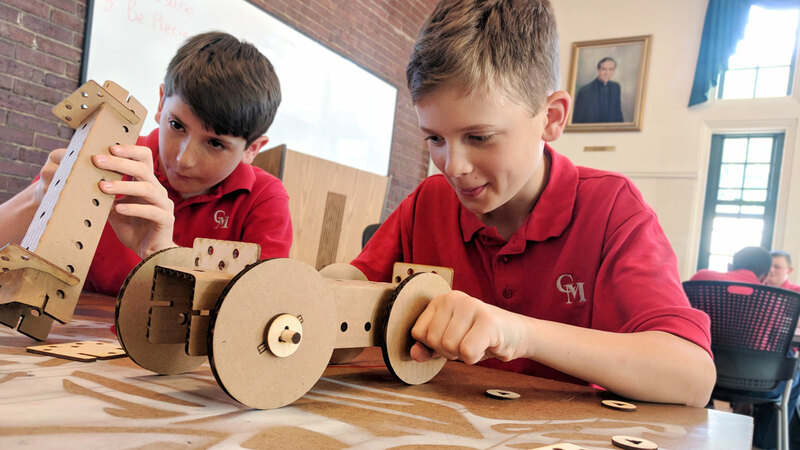 Through daily, hands-on projects, students at CM develop crucial soft skills such as problem solving, collaboration, creativity, innovation, and revision — keys to success in the Fourth Industrial Revolution. It’s quite different from the rest of the curriculum — and unlike any other courses Catholic Memorial has traditionally offered. 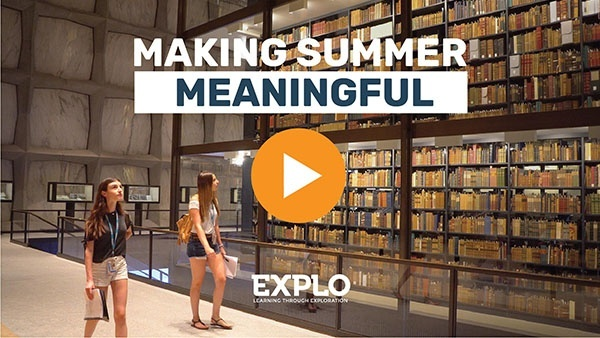 Both EXPLO and CM want students fully immersed in the process of the project and not just the outcome. 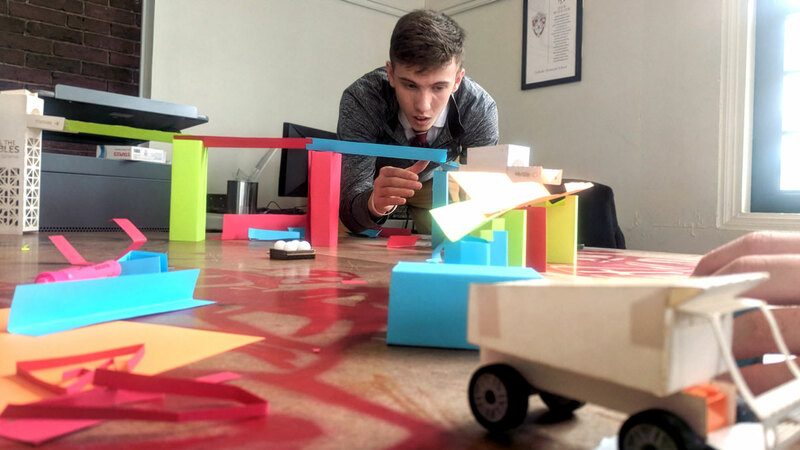 Students are not evaluated by each individual project, but by six traits: observation, communication, collaboration, innovation, perseverance, and feedback — “no-regret skills,” as EXPLO Creative Director Dave Hamilton likes to call them. 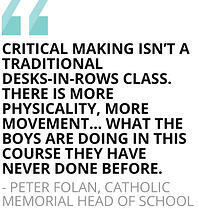 There is no doubt in Folan’s mind that every school needs to be engaged in critical making. He knows it’s challenging and requires sacrifice to make true innovation happen, but he also thinks he has pinpointed why Catholic Memorial has experienced success in their efforts. And this — the importance of the intention and thoughtfulness in the creation of the curriculum and the process, and not simply the space where it happens accompanying high tech tools — is where the collaboration with EXPLO has made a sharp difference. That’s a lofty title to claim in Massachusetts, which U.S. News ranks as the top state for education in the United States. Facing competition from high-performing public schools, charter schools, and prep schools, Catholic Memorial leadership knew it had to mount a major campaign to retain a competitive edge and meet its enrollment goals. “Most institutions are afraid to reflect upon their own constructs,” Folan says. “If we’re not looking at how we’re functioning, what we’re teaching, and why we’re teaching it [on a regular basis], then we’re not really providing our kids with what they need in a rapidly changing world. 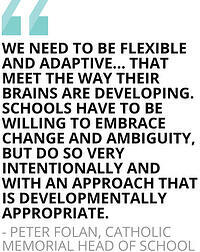 We need to be flexible and adaptive enough to embrace new ways of thinking and engaging that meet the way their brains are developing. Schools have to be willing to embrace change and ambiguity, but do so very intentionally and with an approach that is developmentally appropriate. Instituting Critical Making meant a significant commitment of resources in every sense: time, space, finances, and personnel. It also required sacrifice. In order to fit Critical Making into the curriculum, CM had to cut the physical education class for its 7th grade, not an easy decision in any school, let alone one with an all boys population (nearly all of the boys continue to participate in school-sponsored sports). But Folan and the rest of the leadership at CM believed enough in the value of the course to take the leap. The decision has served the school well. Over the past three years, Catholic Memorial has seen a 300 percent increase in its graduates attending Baron’s Most Selective Colleges. This year, 40 percent of graduates are attending 20 of the most selective colleges in the U.S.
And while area competitors are experiencing enrollment challenges, applications to CM and the number of young men enrolling at the school are both on the rise. To top it all off, the Yawkey Foundations made a philanthropic commitment of $2.5 million — the largest gift in Catholic Memorial’s 61-year history — to support a new building on the 12.5-acre campus. The Center for Integrated and Applied Learning (“CIAL”) will create space designed specifically for 21st century skill building, including problem-solving, collaboration, and adaptability. Schools are no stranger to consultants and outside organizations coming in to provide advice or counsel on topics from curriculum development to behavior management to diversity and inclusion. But these ad hoc partnerships can often fall flat among teachers and administrators who live their school’s mission every moment of every day. EXPLO met that challenge and really became equal partners. CM describes EXPLO as having the most willing and open people to think about how to make changes. 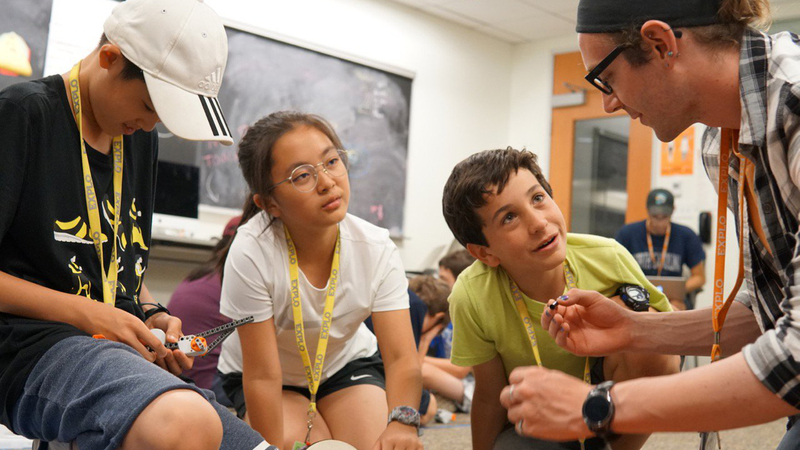 The success of the partnership between EXPLO and CM on Critical Making has led to a second course for eighth grade students, as well as professional development for the school’s educators, including workshops on how to ask questions and varying degrees of project based learning. It’s a true partnership based on mutual respect that has been earned through commitment to shared values and goals to change the nature of education and schools. 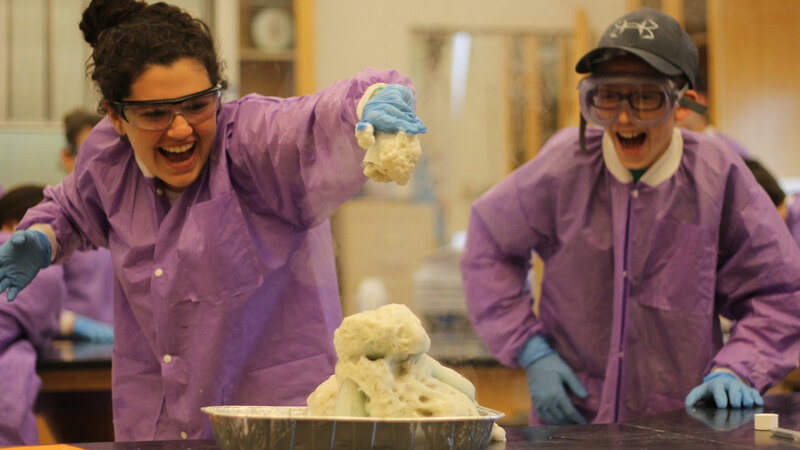 “So many schools and organizations say they want to innovate, but they often focus on changing the surfaces, not the substance underneath,” says EXPLO President Moira Kelly. “In many ways, starting a new school from the ground up may be easier. But to take an already established institution — faculty, culture, facilities — and transform it? That’s where the magic is.